BUY TICKETS IN ADVANCE AT WEBSHOP! 3 hours of breath taking climbing tasks and thrilling rope slides. Rise high to trees like a monkey and set free your inner adventurerer. Prepare to test your Tarzan-skills and let you sweat flow when you challenge yourself in balance, bravery and strenght needing rope tasks. Come with your friends, family, partner or working group to enjoy lasting memory of adventure in forest. 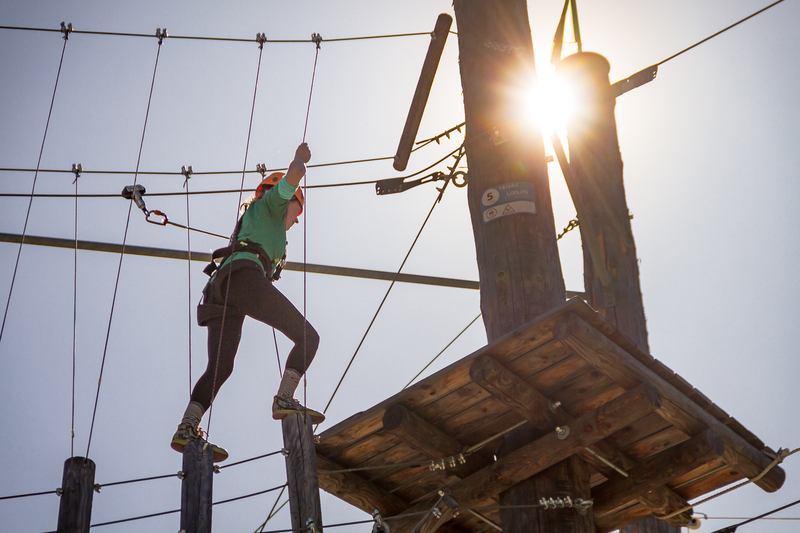 Our Adventurepark-trainers are in park for you and they help you challenge yourself longer than you had ever expected - jump in to an adventure! Laajavuori actionpark is one of the biggest in Nordic countrys. 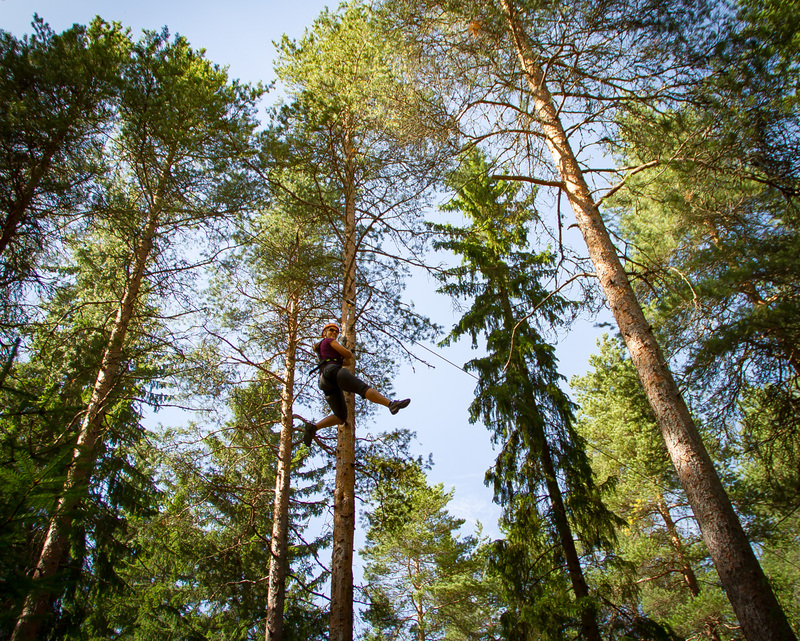 Climbing and zipline-rope slides are found from tree tops and poles almost 2,5 kilometers. Courses changes from easy and begingers suitable near land to hard and harder physical condition needing courses almost high as 20 meters. For over 140cm tall adventurerers. Includes access every park courses except junior courses. For 110-140cm tall adventurerers. Gives you access to junior courses and for two courses designed for families. For 90-140cm tall adventurerers. Gives you access to two courses that are especially designed for smaller children. Go to Funland with Junior ticket! In Adventurepark we have enough activities for even the family's smallest! Renewed Funland gives you lot of different activities, which one may enjoy during the adventure. 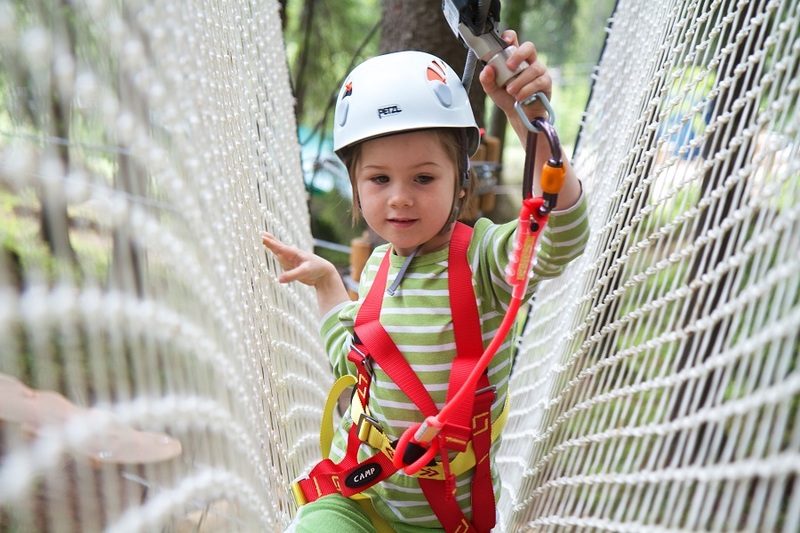 In Adventureparks junior courses even the smallest grow to be real adventurerers. Funland's bouncy castle, pedal cars, downhill scooters and other nice activities guarentees nice and fun day. Junior ticket gives access to junior courses and Funland, parents/adults doesn't need ticket to entry this area with their kids. In addition, Urban Kithcen's services are to be found just a next corner away: Ice cream is available just as juice boxes. For who adventure is suitable for? * Under 13-year old needs an adult with park's course-area. With under 10-year old child, care taking adult has to climb along with courses (except Junior courses). Fill adventure contract before and you save time. Filling electric contract is easy and quick, and it can be done from home with own device. To Laajavuori you get easily by your own car or using public transit. Adventureparks renting and starting point is in Laajis Urban Kitchen. There are lot of free parking lots at the area.